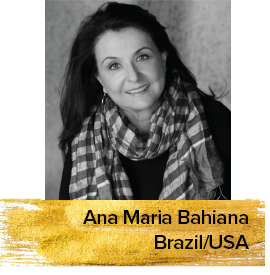 Born in Brazil and based in Los Angeles, Ana Maria Bahiana is a Brazilian- American author, journalist and lecturer who has years of experience in cultural journalism. Ana wrote for many Brazilian newspapers and international ones as well. She is also one of the only two Brazilian members of the Hollywood Foreign Press Association who is responsible for the Golden Globes annual awards. Additionally, Ana has been serving as deputy editor of the HFPA's official website since 2015.